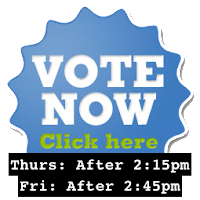 Thursday through Monday: The voting ballot for Treasurer and Activities Commissioner will open on Thursday 2:15pm (after all speeches) and close on Monday 3:05pm. Friday through Monday: The voting ballot for President will open on Friday 2:45pm (after all speeches) and close on Monday 3:05pm. 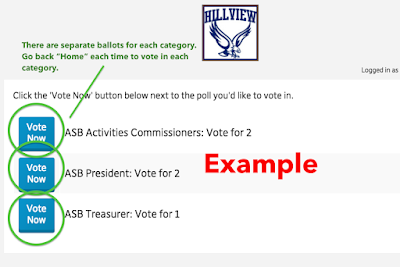 Login: (6th/7th Graders Only) You will use your Hillview Gmail/Computer Login and Password to access your ballot. Both login and password are case sensitive. President Ballot released at 2:45pm on Friday. Is it after 2:45pm? If so, click here to vote! Otherwise, only Activities and Treasurer will be available.